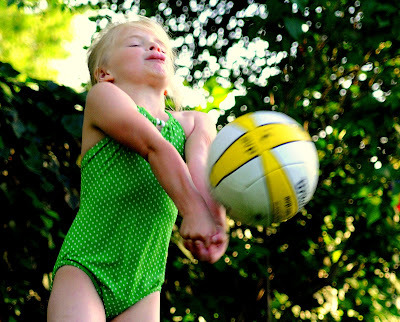 Here is a picture of my daughter, during her first volleyball lesson. She and her cousin absolutely loved it. 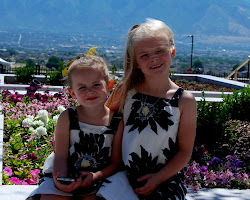 The other day, Jade told me that Aunt Kat and Uncle Tom cared about her more than I do. The reason? They taught her how to play volleyball. When I told her that I was really bad at volleyball and if I were to teach her, she'd learn all wrong. Her answer? "Well, you and I will just have to play, and I'll teach you." I posted another picture, of Asher for Lolli's "Give me your best shot"
Be sure and check out other sporting pictures at "I heart faces"
That is a great picture! Love it!! Such intensity with her tongue out,too!! Great capture! This is so awesome! Love the action and colors.